If you thought shopping for gifts for toddlers was even slightly difficult, brainstorming stocking stuffer ideas for toddlers that aren’t all candy was even more so. For me at least. Here’s a nice list of toddler stocking stuffers sure to please! My oldest is 6, so it’s been a while since I’ve had to think about having a toddler-friendly Christmas. I pulled out our toddler felt Christmas Tree for the first time in about 4 years. Honestly, I almost forgot we had it and it took me a while to remember where I even stored it. 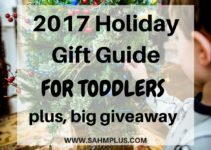 Now, my kids really don’t need a single thing, so it was tough coming up with a holiday gift guide for toddlers that didn’t already include everything we already had. My son may just get gypped this year for Christmas except that we, luckily, decided to stick to the 4-gift challenge this year. Not to mention, he’s a lucky kid with a December birthday, so he gets ripped off anyway. 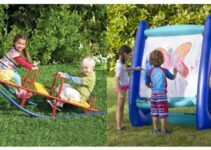 But, I found some ideas, including those off our non-toy gift ideas for toddlers and some of the most loved toddler toys. Seriously though, how difficult is it to stuff stockings for toddlers? 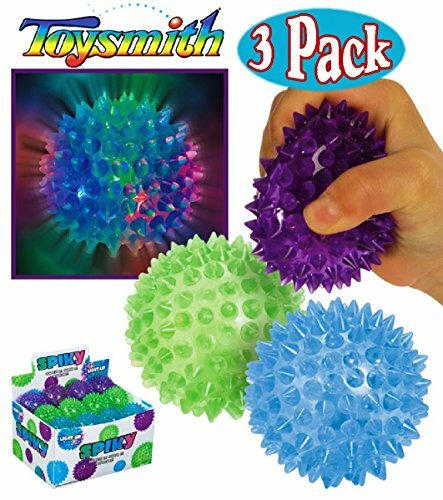 Am I the only one that struggled with stocking stuffer ideas for toddlers that was anything other than candy or snacks? I’ve got the obligatory candy cane and some kind of chocolate, but I did not want to load him up on junk. I’m a huge fan of books, so a small holiday themed book is always a good idea in my house. My son loves Elmo (I’m not even sure why, because he doesn’t watch Sesame Street). Small books like these are perfect for little hands to hold and have your little ones begging you to read. Plus, they take very little time before rushing out for all the Christmas festivities of the day. 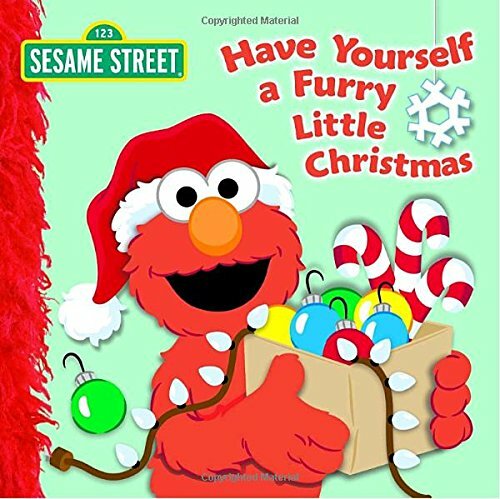 Check out these other Christmas Board Books for Toddlers. 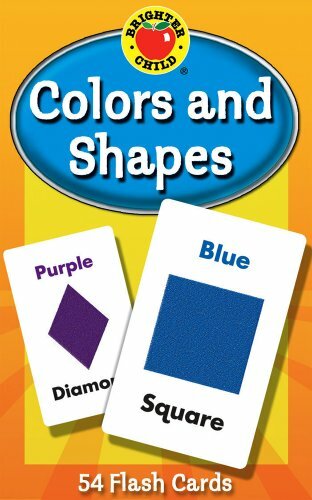 Flash cards, like these, are perfect for building your toddler’s brain but still lend themselves to having fun. Check out other toddler flash cards. Little kids love bubbles. I’m not sure why they’re so fascinating, but they really are! 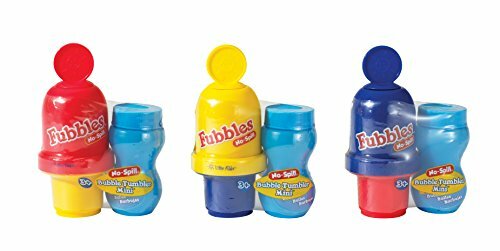 I love the idea of these small bubble packs that are supposedly “no-spill” … because walking through the house hoping your toddler doesn’t wipe bubble solution all over the walls before making it to the bathroom isn’t exactly my idea of fun. You know what I’m talking about. Bouncy balls. Flashing lights. Toddlers. Perfect mix of entertainment and maybe a brief break for mom … as long as the toddler doesn’t bounce the ball into the trash can or other location you don’t want those hands reaching into. Stickers! 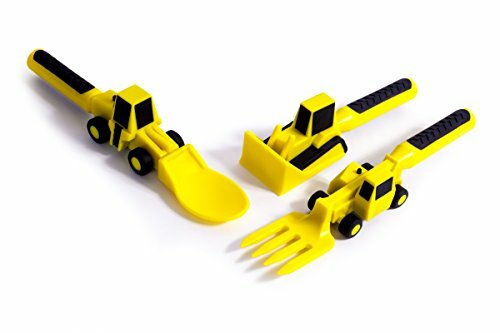 Another one of those irresistible toddler gifts. 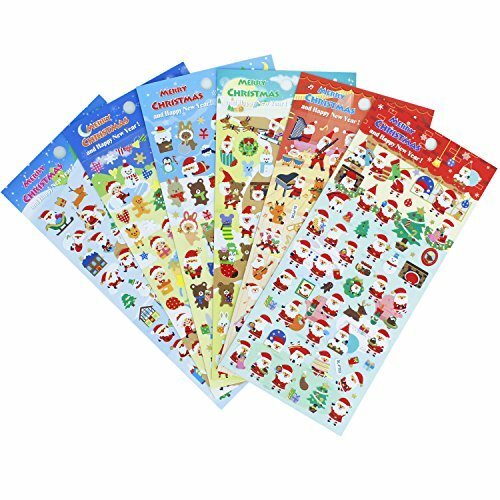 Even my 6 year old is still in love with stickers, so this kind of stocking stuffer idea is great for several years to come! Check out more Christmas stickers. Santa loves placing toothbrushes in the kids’ stockings! 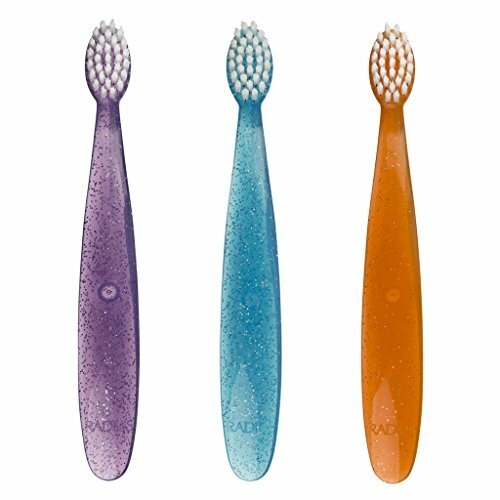 Normally we get the Firefly toothbrushes at the grocery store, BUT these are highly rated toddler toothbrushes and come in a three pack, so you’ll have 3 months of brushing at the ready. 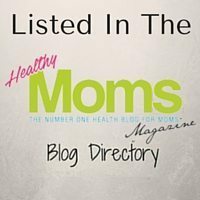 In my house, I’ve attempted to ditch toxic toothpaste. I’ve succeeded in all but my husband’s area. Anyway, I continue to promote flouride-free toothpaste even after children are old enough for it. Since I wouldn’t trust my toddler not to attempt to eat his toothpaste, I think it’s still important for kids of this age to be given a natural toothpaste, but you want it to be a pleasant experience, too. Every year, a special pair of socks in the stockings are well-received! I loved when I saw these socks with loops to help foster a toddler’s independence. Like them? Check out all the other EZ SOX. 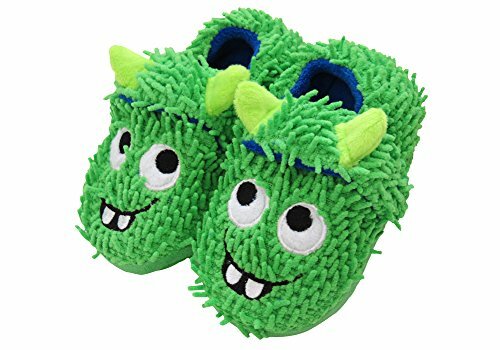 Adorable slippers are all the rage. Well … anything toddlers can figure out how to put on themselves is a real treat. Try any number of the adorable toddler slippers available to keep your tot’s feet cozy and cute. 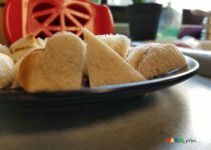 Make food fun for picky eaters with a variety of FunBites products. 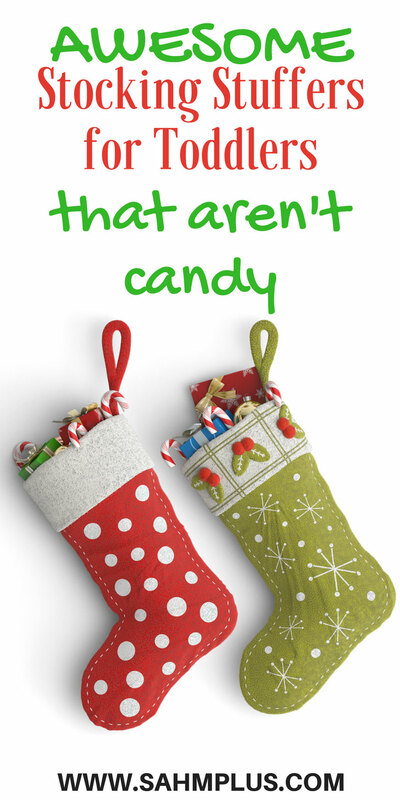 These can fit in large stockings, making perfect stocking stuffer ideas for toddlers! 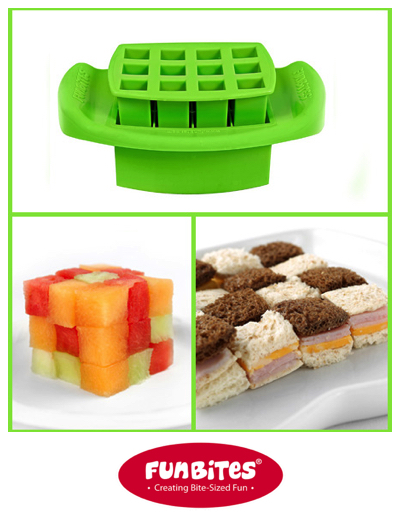 Give the tot permission to play with his or her food and make it more fun! This is not something you’ll usually hear from me … but if it means it encourages my kiddo to eat, I’ll try anything. My parents started the annual keepsake ornament tradition when I got older and I really enjoyed getting a pretty new ornament every year. It’s one tradition I’ve decided to carry over to my kids. This, or any special keepsake ornament will delight your toddler. Although, you’ll probably want to maintain control over the ornament until the toddler is old enough to handle it appropriately. 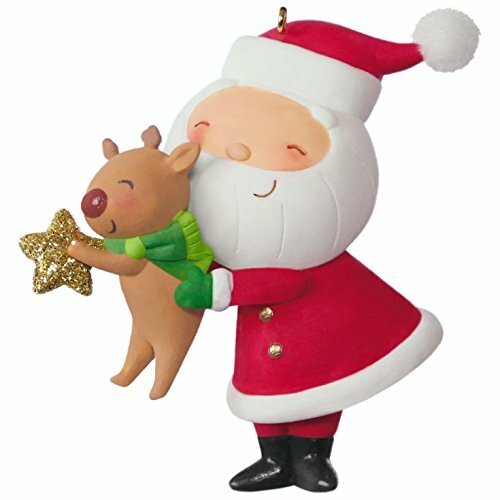 Check out more ornaments for your toddler. Tell me in the comments: What are your favorite stocking stuffer ideas for toddlers? So cute! I love all the useful items and colorful ideas. Great stocking stuffers for sure! These are all such good ideas! We love the Tom’s toothpaste. We’ve got toothbrushes, a toothbrush cover, socks, & stickers in our stocking, too – so we must be thinking on the same page!